Who wants to make laundry detergent? First of all, let me say that I don’t typically make my own laundry detergent, nor do I feel like being able to make random things like laundry detergent or DIY Fabric Softener is the truest indication of crunchy motherhood. But being totally honest, I’ve had the most upside down few months and where I’m usually on top of making sure we have basic household supplies, this past week just was not one of them! And these are the weeks I start researching random DIY facts and sharing them with you guys. The first DIY laundry recipe I researched was on how to make your own laundry detergent. Good news us is that it can be done for really cheap. Depending on where you shop, you can get all of these ingredients for about $25 or less. If you use about 1 tablespoon per load, this should last about 500 loads, which is just $0.50 per load! Even if you decide you need 2 tablespoons, $0.10/load is a great price for laundry detergent! Now, here’s the bad news. It’s not one of those DIY with stuff you have around the house. I happened to have these in my soapmaking supplies box, but you’d have to specifically buy some of these ingredients if you plan on making you own laundry detergent. 1) Grate your bar soap as fine as possible using food processor or hand grater. 2) Mix ingredients into a large bucket or bin with a lid that seals. 3) Pour all of the ingredients into the container and mix well. Mix together to two ingredients in a bowl or a jar. Shake well to remove lumps. Add mixture to the washing machine to help whiten whites and help with stubborn stains. For tougher stains, soak item in a mixture of warm water mixed and a 1/4 cup of the laundry booster for 20 minutes before adding the item to the washing machine. This mixture will cost you considerably less to make than the Oxi Clean alternative. To make your own fabric softener, simply add 1/2-1 cup of vinegar to your wash during the rinse cycle. It naturally softens, removes soap residue and also helps to fight static in the dryer. Vinegar is super cheap and much more economical that store bought laundry detergent. 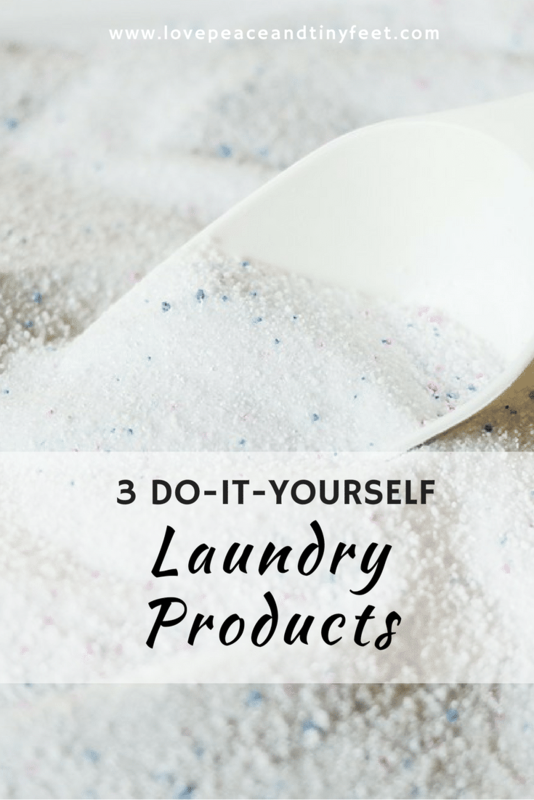 Have you ever tried to make your own laundry products? Share your experience below! Chuck E. Cheese's All You Can Play is the perfect pick-me-up for any day!